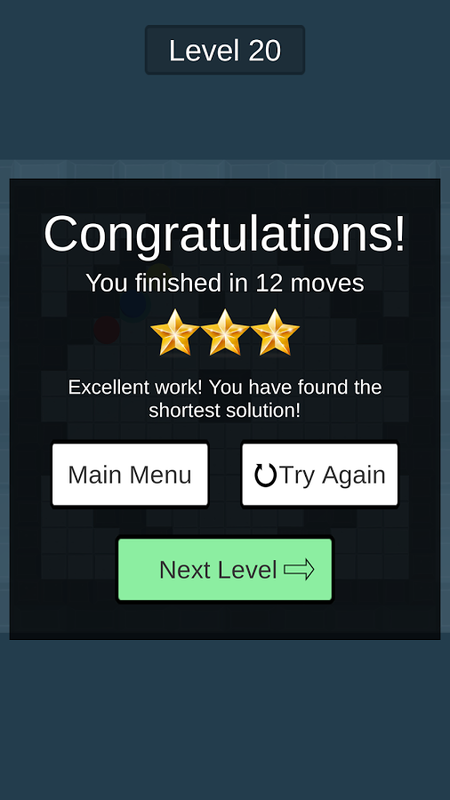 First release of Labyrinth Robots, a free android game that will keep your brain busy for a long time! 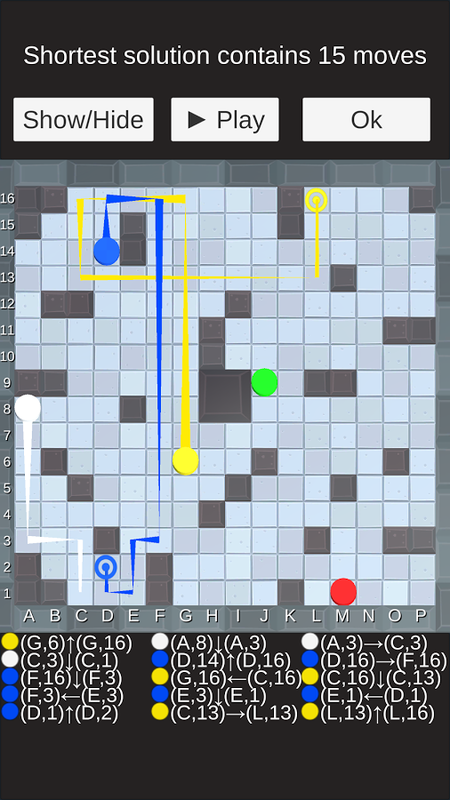 First version of Labyrinth Robots has been released! 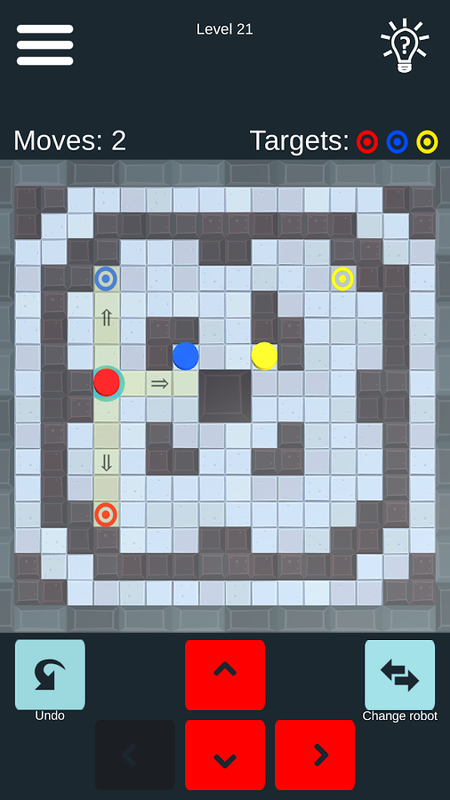 Labyrinth Robots is a free android game for you who like casual and challenging problem solving, that leaves you wanting to play "just one more map". 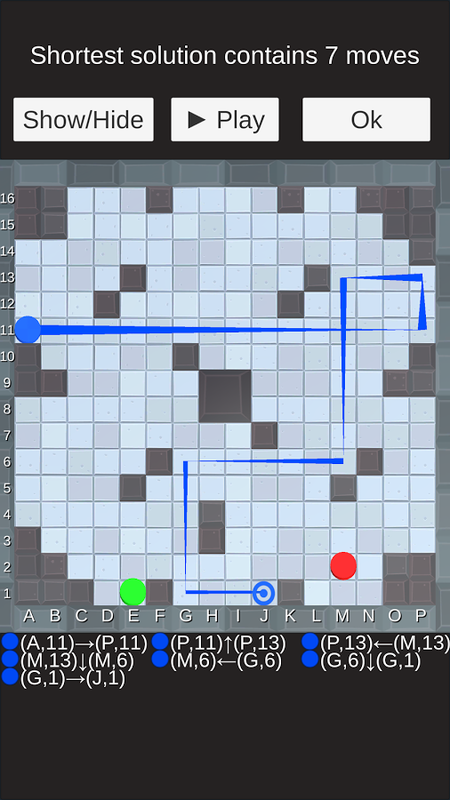 Containing a ton of maps for you to solve! 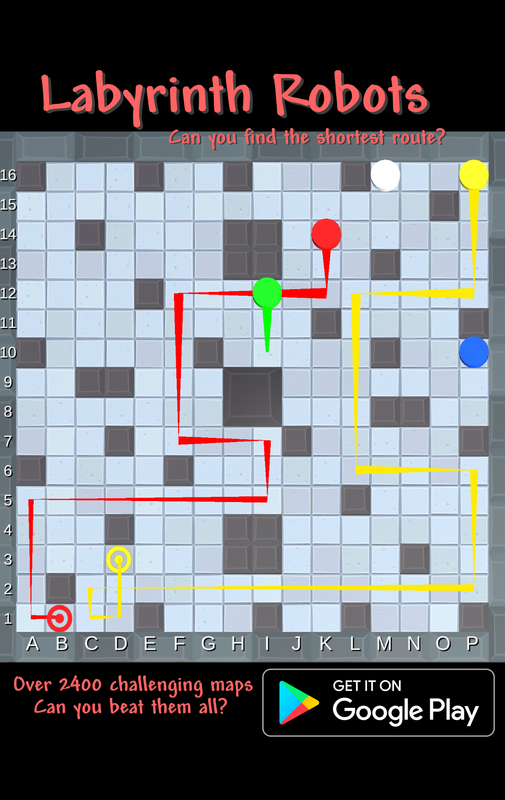 This casual game starts easy but very soon you will have to activate your brain connections and be smart to find the solutions. To get full score you have to find the shortest possible route. Do you have what it takes? Give it a try and you will be stuck! Containing over an astonishing 2400 maps, it is easy to say this game has enough problems for you to solve for a long time!